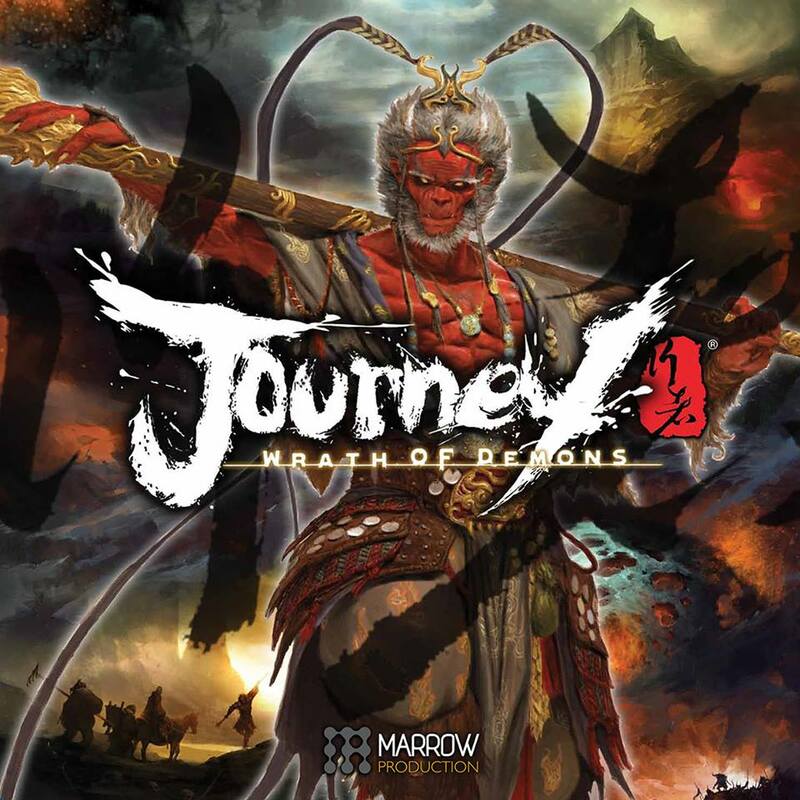 In Journey: Wrath of Demons, four Pilgrims band together to search ancient China for the Sutras, sacred scriptures that will bring salvation to a world overrun with Demons. After fighting different Bull Demon minions, the climax of the game is the battle against the Bull Demon King. All components have been crafted to the highest quality, bringing the beautiful game world to life. 1 to 4 players control the four Pilgrims and the game’s AI controls the Demons and other creatures. Game cards and custom dice combine for fast, tense action and critical choices enhance the Pilgrims’ skills during the game. Around 10 quests are included, each taking about 30 minutes to 2 hours. Diverse playing styles are possible, always with a strong emphasis on cooperation. Do you ruthlessly hack and slash, killing all Demons in the Pilgrims’ path? Or take a more virtuous path, cleansing the Demons’ souls. Your decisions affect the Pilgrims’ abilities, skills and equipment. Solo play is enabled with no changes to the rules, 1 player simply controls all four Pilgrims. A resin miniature is the closest thing to the original sculpture, holding the highest level of detai.. This blister pack contains 4 x Custom Dice. Red, Blue, White and Black die. ..
Game Contents 1 Rulebook ..